“Instant Superhero – Just Add Girl Scout*” is printing on the supplied cards. 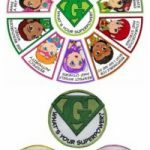 Each of the ten parts of the Girl Scout Law* is represented by one of our superheroes. No scissors or glue needed. Just a stapler. Everything else is included! Tear apart inserts on the micro perfed sheets. Slide one into each mini zipper bag. Sprinkle in the corresponding color of glitter. Add a pinch of star confetti. Zip the bag closed. Tear apart the tags on the micro perfed sheets. Fold in half. Write your swap information on the back. Staple to the top of the mini bag. Add a pin. 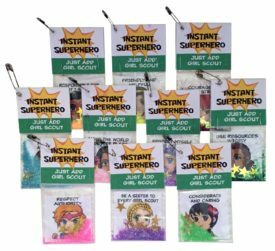 3 reviews for "Instant Superhero Kit for Swapping"
Product was great, everything needed contained in the kit. The girls loved it! Great kit,pretty, fun and easy to put together. My children loved them. 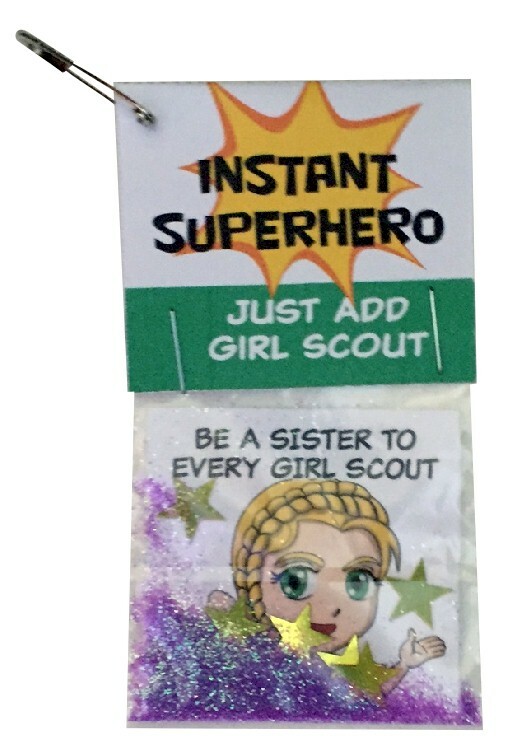 These swaps are so cute when finished and very easy to put together.